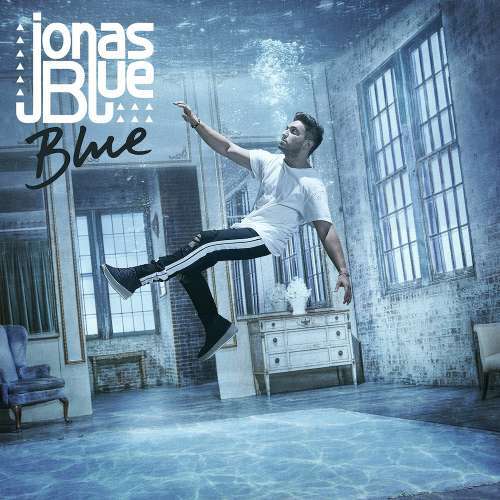 MULTI-PLATINUM HITMAKER JONAS BLUE RELEASES HIS DEBUT ALBUM, BLUE, TODAY! 09 November 2018 (Toronto, ON) – Following the release of his hit single “Polaroid” featuring Liam Payne and Lennon Stella, unstoppable UK producer/songwriter Jonas Blue has now dropped his debut album Blue, out now via Positiva/Virgin EMI/Universal Music Canada, the country’s leading music company. The release follows Jonas’s recent performance as a special guest on the X Factor, with the UK superstar also confirmed to play both Children In Need, on November 16, and the Capital FM jingle bell ball (December 8). Blue contains all the songs that have seen Jonas Blue explode into the charts and go from strength to strength. Ever since he burst into the global conscience with “Fast Car”, a cover of Tracy Chapman’s classic which has gone 2X Platinum in the UK alone, Blue has sealed his position as one of the UK’s biggest breakout stars accumulating over five billion streams, 5 UK Platinum singles (all featured on Blue), and over 30 million single sales worldwide. With “Rise” fast becoming one of the biggest hits of the year (with over 680 million global streams already), and his new single “Polaroid” hot on its heels with over 40 million streams already, the long-awaited Blue cements Blue’s position as a superstar producer and master pop songwriter. Pulling in a host of A-list guest features as well as new and upcoming artists, Blue includes a collaboration with the much hyped Canadian/Columbian singer songwriter Jessie Reyez as well as tracks with Joe Jonas, Zac Abel, Nina Nesbitt, Liam Payne and Chelcee Grimes. Having already enjoyed 4 x BRIT award nominations as well as being certified Platinum over 100 times around the world across his past singles (“Fast Car”, “Perfect Strangers”, “By Your Side”, “Mama”), and “Rise” also hitting platinum status in the UK, Blue has enjoyed a hugely successful Ibiza residency at superclub Hi, running throughout the whole of the summer.